• Dr Lisa has a PhD in Engineering and is a TOCICO certified expert in Theory of Constraints. Dr Lisa is currently serving on the TOCICO Board of Directors. • Dr Lisa’s specialty is applying the Theory of Constraints to real-world operational and marketing issues. She has coached hundreds of clients to implement these powerful solutions for their unique situations. Her on-line coaching programs including the Mafia Offer Boot Camp, Velocity Scheduling System and Project Velocity System get fast, substantial results. • She is the author of 3 books and she has contributed Chapter 22 in the Theory of Constraints Handbook on Mafia Offers published in June 2010. • Before becoming a consultant, Dr Lisa was in operations, strategic planning, purchasing, R&D, and quality while working for Clorox, Anheuser-Busch and Coors Brewing. 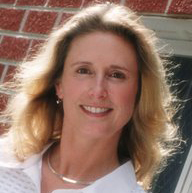 In addition to consulting, Dr Lisa is a highly sought after Vistage/TEC speaker on “Maximizing Profitability”. Dr Lisa also provides professional keynote speeches and workshops for organizations like: TLMI, ASC, MCAA, NTMA, NAPM and private events for corporations like: TESSCO, Bostik, GE, Pfizer and Sandvik Coromant.